KUALA LUMPUR: Getting only two wins in their last nine matches has got PJ City frowning on their strikeforce. And the Super League side are thinking of adding more firepower to their frontline in the second transfer window on May 2-29. The Phoenix are languishing near the relegation zone on 10th place after picking up their fifth defeat on Saturday after losing 1-0 to Johor Darul Ta’zim (JDT) at home. 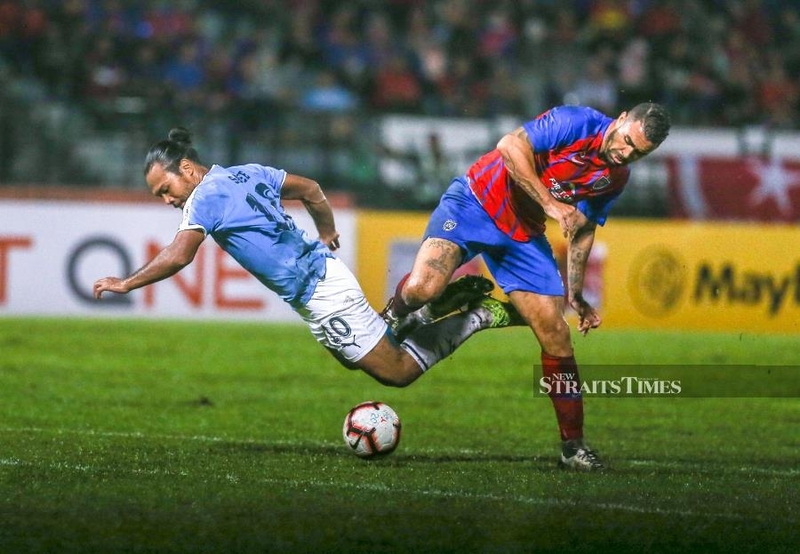 PJ City coach K. Devan felt that striker Safee Sali, who joined in February, put in a commendable performance but he wasn’t impressed by Brazilians Sergio Paulo Nascimento Filho and Pedro Henrique. “Performance-wise, I’m happy with the team but our attacking strength needs to improve for us to stay in the Super League,” he said. The pressure is on the two Brazilian strikers to deliver when PJ City meet four-time FA Cup winners Kedah in Alor Star tomorrow.